Typically, within a model line that establishes a recognisable name, a manufacturer will try to keep a common appearance or some other feature that one could recognise a model belonging to a certain line. 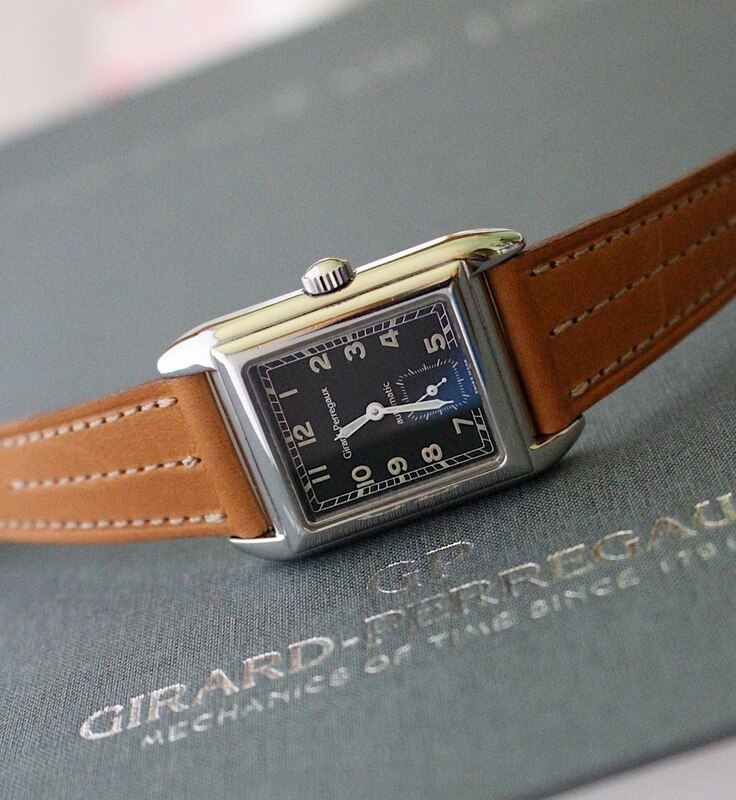 For example, the Girard-Perregaux Vintage 1945: from the original vintage watch from the 1940s all the way to today, all Vintage 1945s have the same tank case with the characteristic lugs, just varying in size and complications. 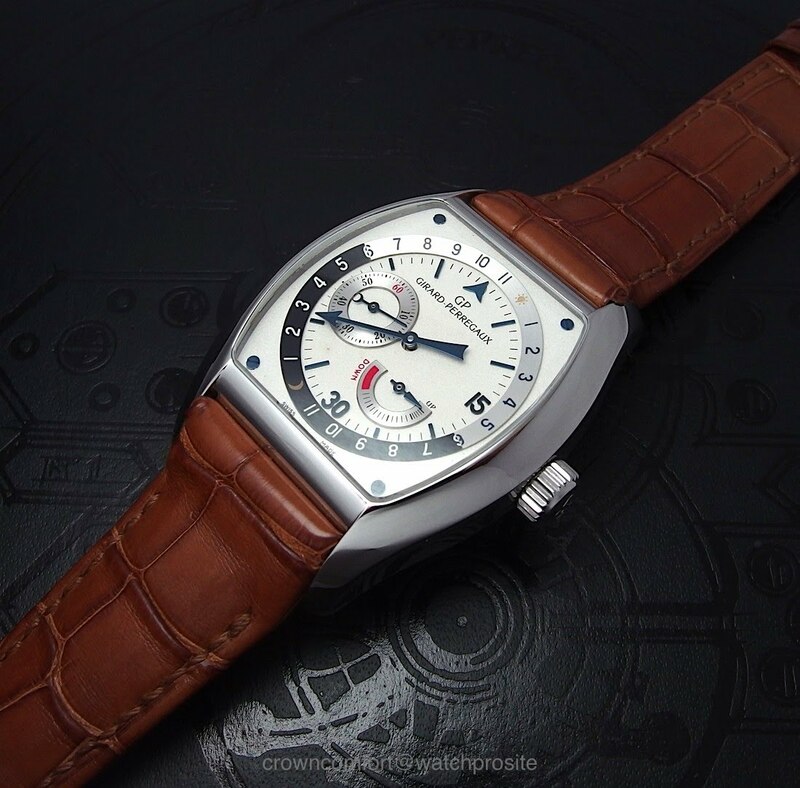 However, when you then look at the Girard-Perregaux Richeville line, we suddenly have a line that has been completely inconsistent, even transformed itself multiple times! 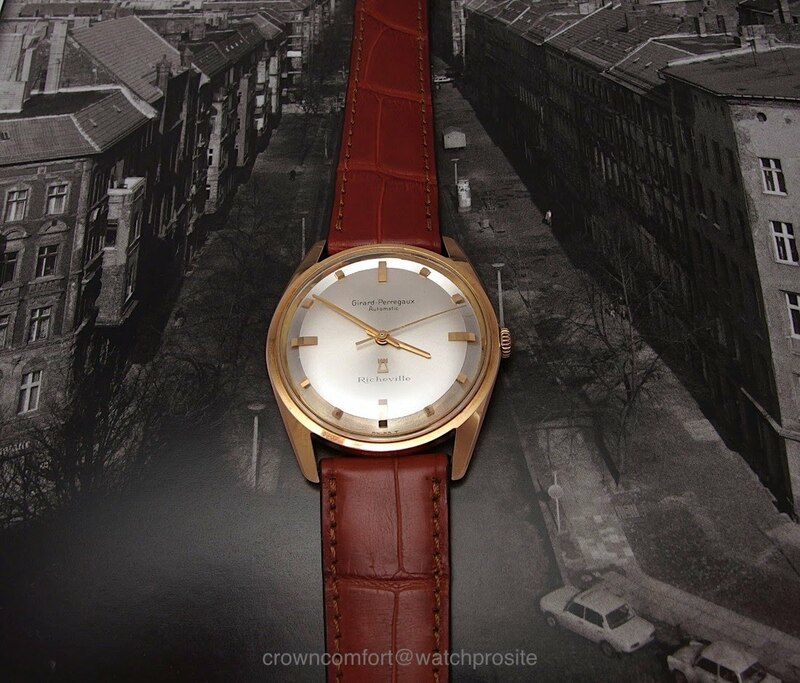 Starting off in the 1960s, the Richeville came in a round case with semi-integrated lugs, but essentially being a round, time-only or with date watch. BTW: one of the finest vintage GPs to have, especially with Chronometer certification. But then in the 1990s, the Richeville came back as a rectangular watch, again time-only (Ref 2520) or with date (Ref 2510), but distinctively rectangular. 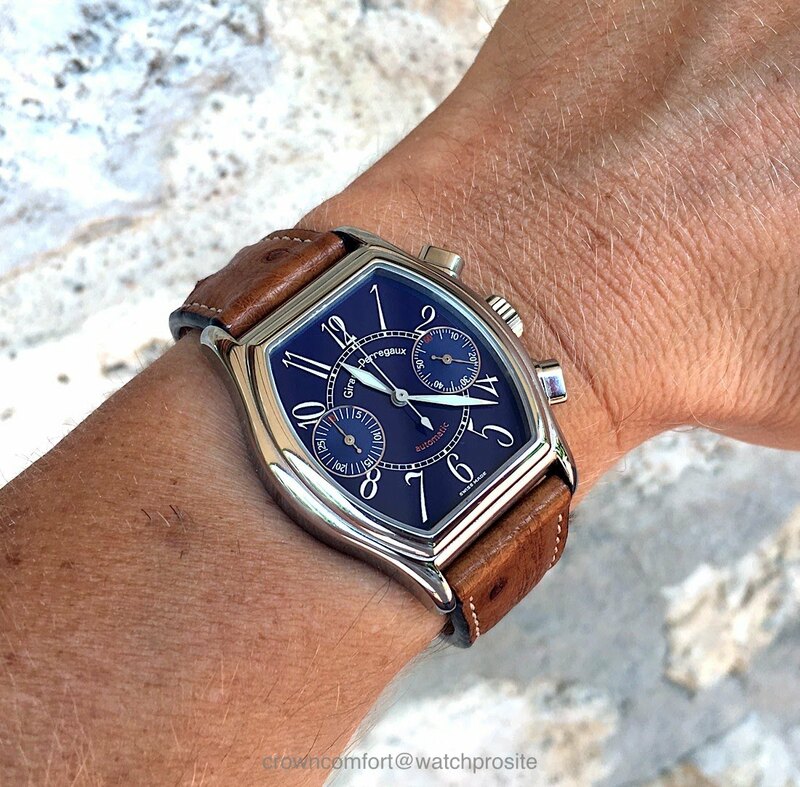 Shortly after or almost at the same time, the Richeville Chronograph appeared in a Tonneau case with stepped bezel, either manual wind (Ref 2710) or as below with automatic movement (Ref 2750). It seemed only now the Richeville has found its distinctive feature that defines the line. As with the next generation, all further Richeville’s came in a smoother and larger Tonneau case with quite a variety of complication, like for example the Night and Day (Ref 27610). So if ever the Richeville line gets resurrected, will we see another transformation? Or would a Richeville now have to be Tonneau shaped? Yes, the Richeville really went through a transformation in shape and style! Indeed, very much a transformation, but to be honest, I think for now if there will be ever a new Richeville, I think it has to be Tonneau case. Richeville is one of most diverse family in horology. is a great entry into vintage GP. Just an all-around great vintage watch!